This is a Spoon. It is dated ca. 1600–1630 and we acquired it in 1985. 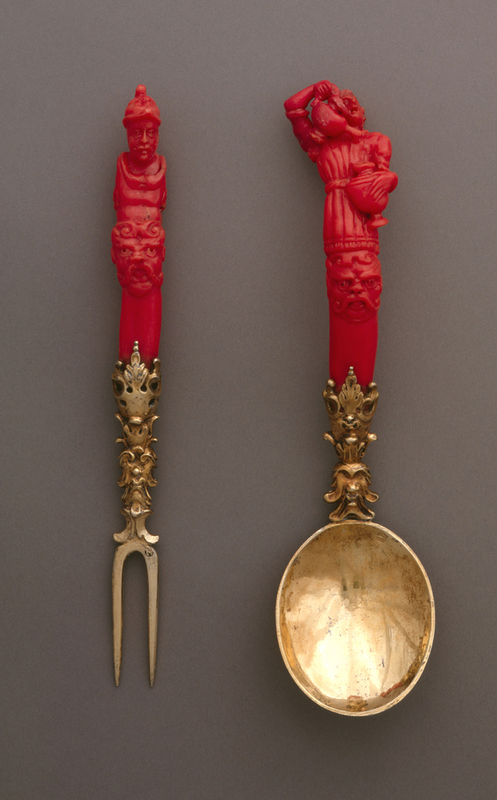 Its medium is carved coral, cast and chased gilt silver. It is a part of the Product Design and Decorative Arts department. On inside of spoonbowl: "N" in a round shape, partly overstruck by a maker's mark of crowned shield (inside of shield obscured).